As a veteran Crossfitter, I’ve tried and tested countless shoes over the years. Continue reading to find out which shoes I’ve found to be the best for Crossfit in 2017! What makes a shoe the best for Crossfit? When I first started, like most people, I used regular sneakers, but quickly graduated to Reebok Nanos when I realized just how important the right footwear is for your workouts. After a lot of trial and errors, I now carry three pairs of shoes in my bag; a good pair of running shoes, lifters and a minimalist shoe. 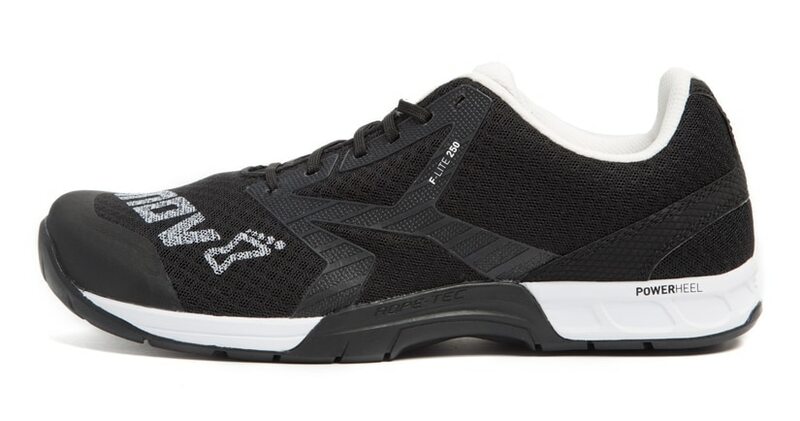 Because Crossfit is by definition constantly varied, you need several types of shoes depending on your WOD When a metcon or AMRAP is on the board, you need a lightweight shoe. But when you are working on a heavy Olympic lift, you should choose a shoe with a stable and supportive sole with a low heel-to-toe drop. Comfort is clearly high on the priority list, so make sure to take into account the midsole width. Midsoles differ according to the shoe — make sure to pick the one that best fits your foot size (narrow, wide or medium). Cushioning is tricky when it comes to crossfit shoes. Too much cushioning (like in a standard tennis show) and it will be too soft to provide the required stability for your oly lifts. A good crossfit shoe will have a few mm of sole cushioning (usually around 4mm) — just enough to enhancing while allowing for enough stability for your lifts. A good crossfit shoe will need a durable outsole. Let’s face it Crossfit workouts are demanding, whether you’re doing box jumps, rope climbs, or running, your shoe needs to be able to take the impact. Nike entered the Crossfit world in 2015 when they created the Metcon 1. They originally designed a men’s shoe but later came out with a women’s style. This is the shoe for Nike fans who Crossfit. A pair runs about $130 and use lightweight flywire cable construction for improved flexibility and breathability, wi. In its upgrade, Nike added abrasion-resistant TPU skins to the exterior areas that saw the most wear: the toe box, the upper forefoot area, and quarter panel (heel area). This shoe has a slightly smaller heel-to-toe drop of 3mm. 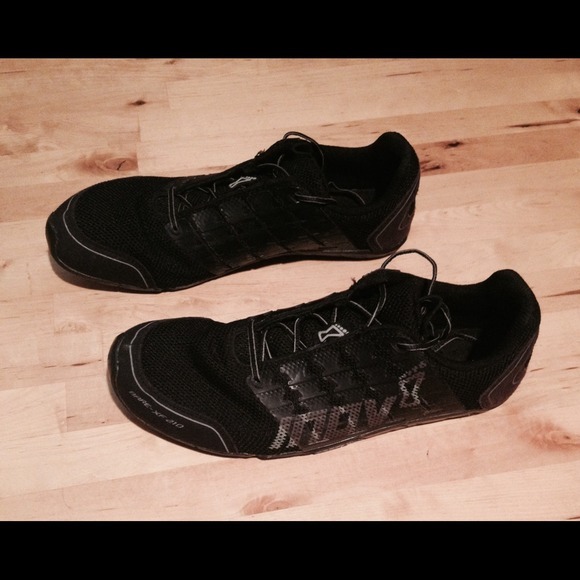 Although these are flatter shoes, they can very easily transition from endurance WODs to Olympic lifts. These are also some of the best crossfit shoes for women, with awesome designs that are sure to get other Crosfitters’ attention! Click on the image to check out the Nike Metcon 3 on Rogue! Click on the image to check out the Bare-XF 210s! The F-Lite 250 is another lightweight selection, but has a higher heel-to-toe drop (6mm) than most of the other shoes in this review. This shoe has a good mix of support and flexibility and has rope-tec protection around the mid foot. Inov-8 also produced the F-Lite 230 and 240, which are a little lighter. The 230 and 240 aren’t as durable as the 250 and all Inov-8’s run about a half size bigger. Click on the image to check out the F-Lite 240 on Rogue. The new Nano 7.0 are the lightest version to date. The mesh material provides ventilation to keep your feet from feeling hot. Reebok has gone for a 4mm heel-to-toe-drop in this model, which is slightly more than in previous models (3mm). Reebok’s motto is “Created by Crosfitters, For Crossfitters” and this is as true as ever. One the most striking features of this new shoe is the range of colorful designs, which come in Reebok’s patented Nanoweave technology. It’s dubbed as the most comfortable, durable and breathable, yet — making the Nano 7 an ideal shoe for any WOD. This version runs slightly smaller, so order a half size up. Reebok still carries the other versions but have really improved on their newest edition. 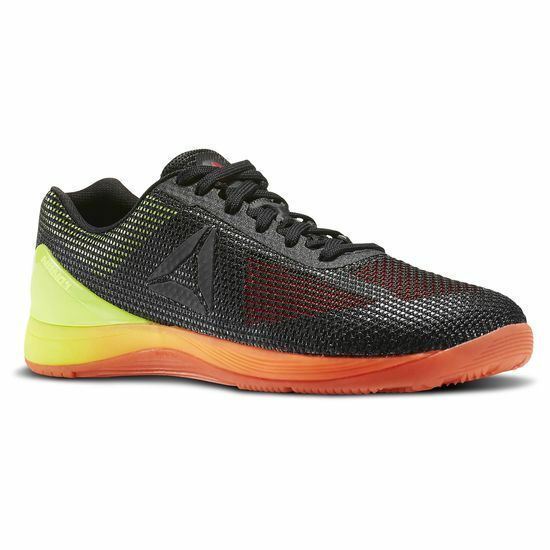 Click on the image to check out the Reebok Crossfit Nano 7.0s on the CrossFit Store! 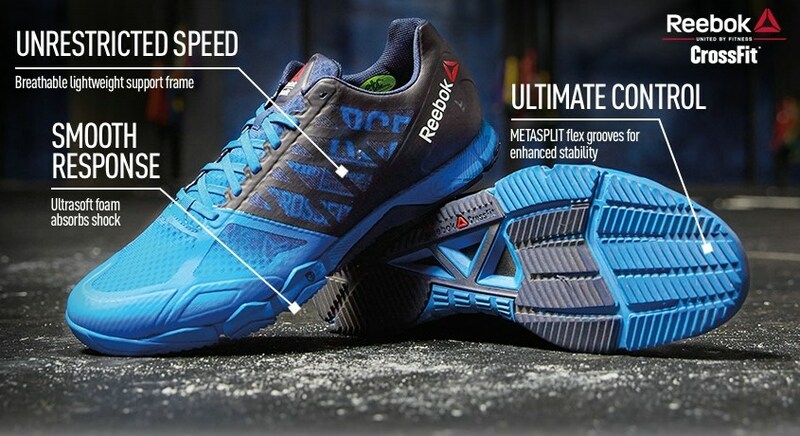 One of the Reebok’s most recent additions, the CrossFit Speed TR is narrower, lighter and has better grip with the Nano, due to a different type of tread. . Because of those features, many people actually prefer it to the Nano for their all-around WOD shoe. The downside is that because they are narrower, they provide less stability when doing lifts. Also if you have a wider foot, the narrow fit is going to be less comfortable than the Nano. Click on the image to view the CrossFit TRs on the CrossFit Store. 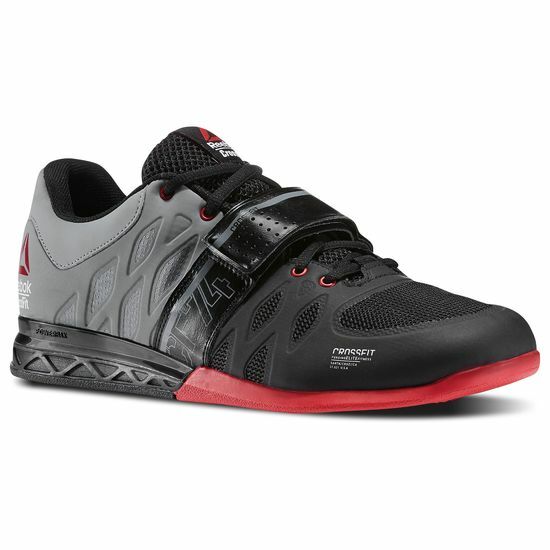 Click on the image to check out the Reebok CrossFit Lifter 2.0! 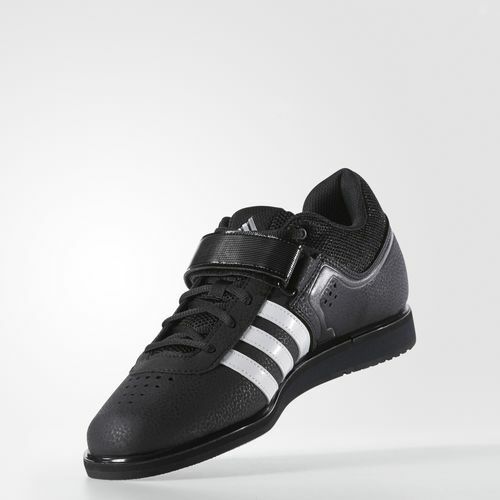 Click on the image to check out the Adidas Powerlift Trainer 3 on Amazon! 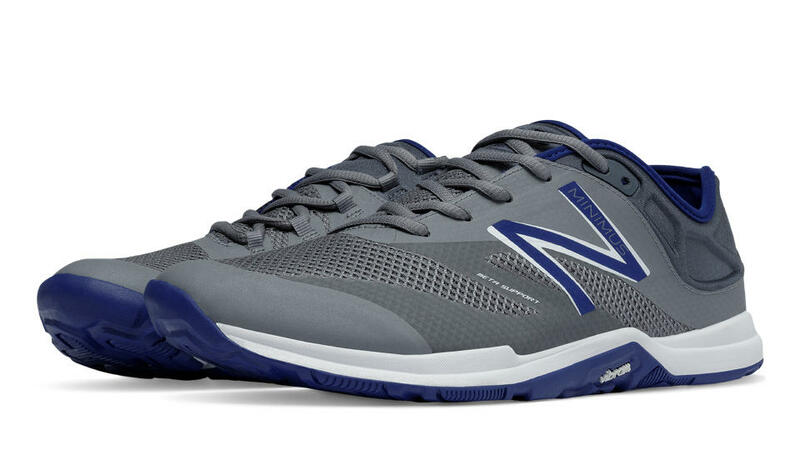 The New Balance MX20v5 minimus (the update to the MX20v2) is a minimalist shoe geared towards men. These shoes came out in 2013 and have since been replaced by several new generations. The shoe is constructed with very little material making it very lightweight (6.5 oz.) and advanced breathability. This can be very beneficial during box jumps, burpees or any types of bodyweight movements. The heel-to-toe drop of 4mm is average for a minimalist shoe. Unfortunately, this shoe has had issues with durability. While the MX20v5 is the latest and greatest model, don’t forget to also check out the previous models (MX797v2, MX797v3 and MX797v4), which are still available on select websites. Click on the image to check out the New Balance MX20v5 on Amazon! 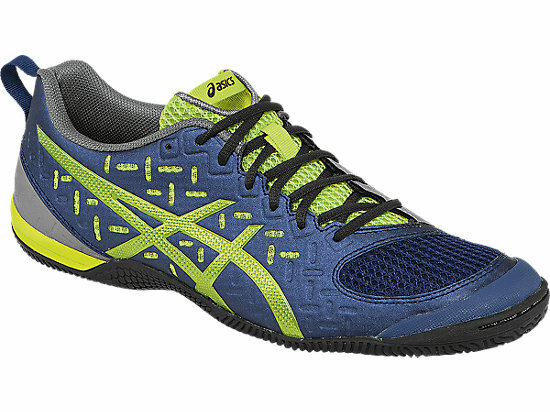 Click on the image to check out the ASICS Gel-Fortius TR 2 on Amazon! If you’re a big fan of ASICS then I recommend also looking into the Asics Gel Nimbus. We’ve certainly covered a lot of shoes here, but believe it or not there are more Crossfit shoes out there!For example, the Puma Bioweb Elite is a very popular choice, the Brooks Glycerin 13 is a great choice for women, and, of course, Vibram Five Fingers are a box classic, and of course, Merrell has a wide range of shoes that are great for CrossFit. The Nike Air Zoom Vomero also get a good rep, if you’re looking for a shoe that can be used inside and out of the box. Just like you take care of your body before, during and after each workout, you want to take care of your feet. Whether it’s a minimalist shoe or an average Crossfit shoe, make sure to choose the one that is the most comfortable fit for your feet. Previous post: Best Shoes for Zumba – We Review the Top 5!